Material: Lining: 100% polyester. 100% polyester. Beautiful, feminine dress in chiffon from HAPPY HOLLY. 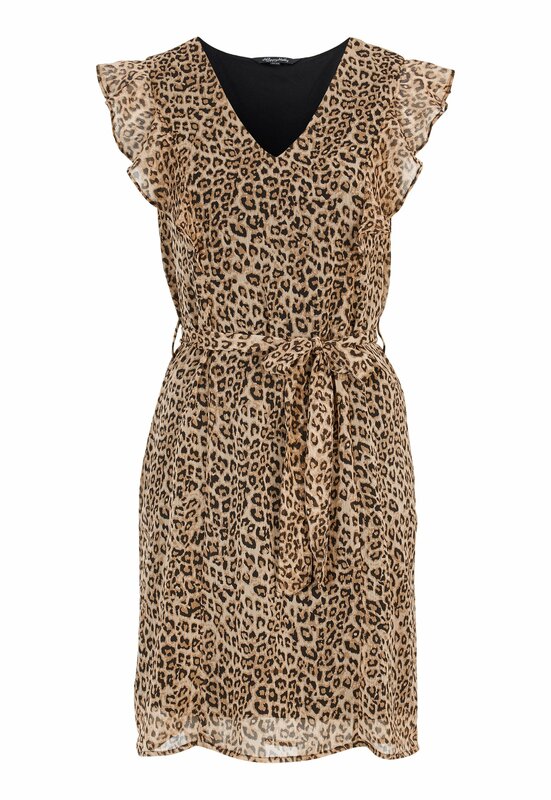 The dress has short, ruffle sleeves and a detachable tie waist. - Nonstretch, woven chiffon fabric. Length from shoulder: 95 cm, bust 100 cm in size 36/38.